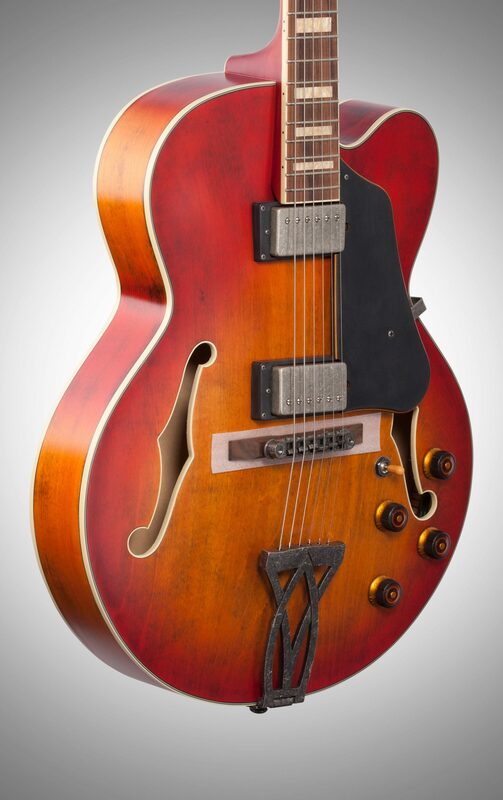 Lurking beneath the Ibanez AFV75’s aged facade and smoky, low gloss finish is a single cutaway hollow body that can handle anything from jazz standards to country and western. 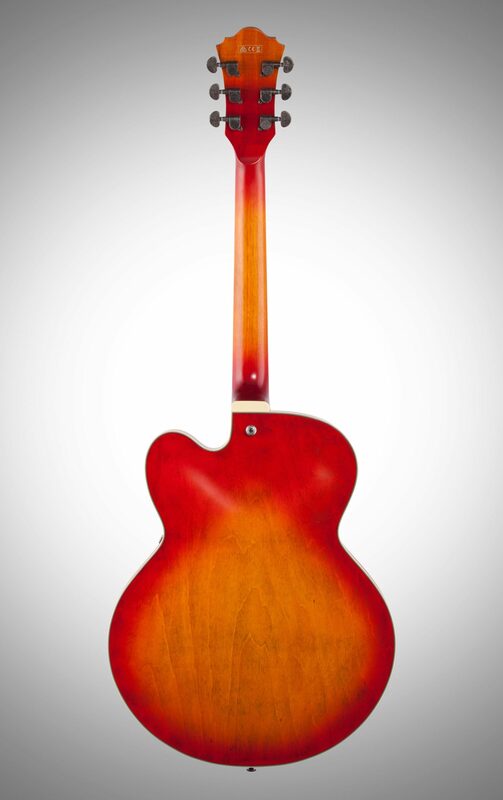 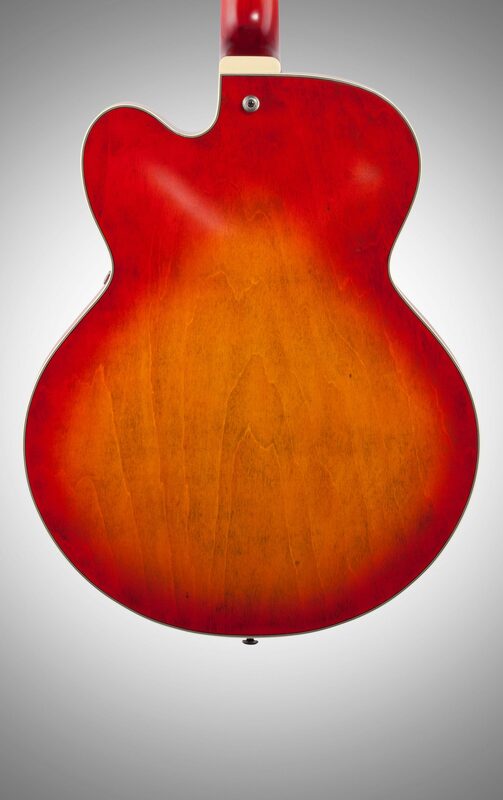 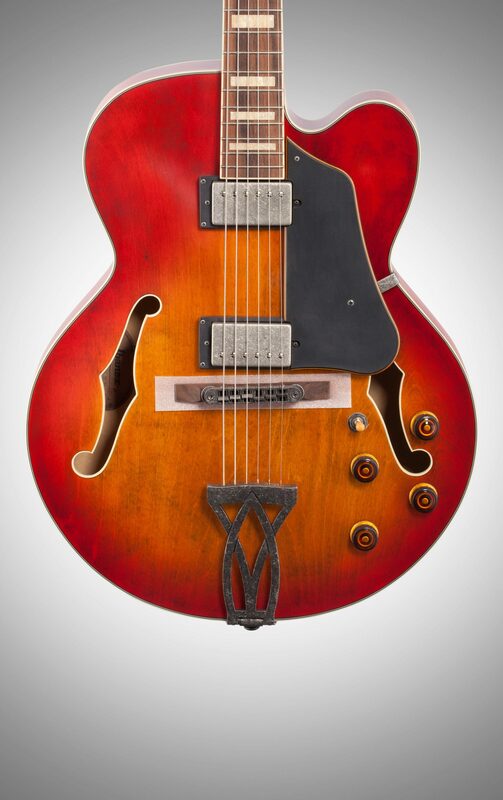 The AFV75 features a select-grade Linden hollow body that creates a rich, warm, deep-voiced tone. 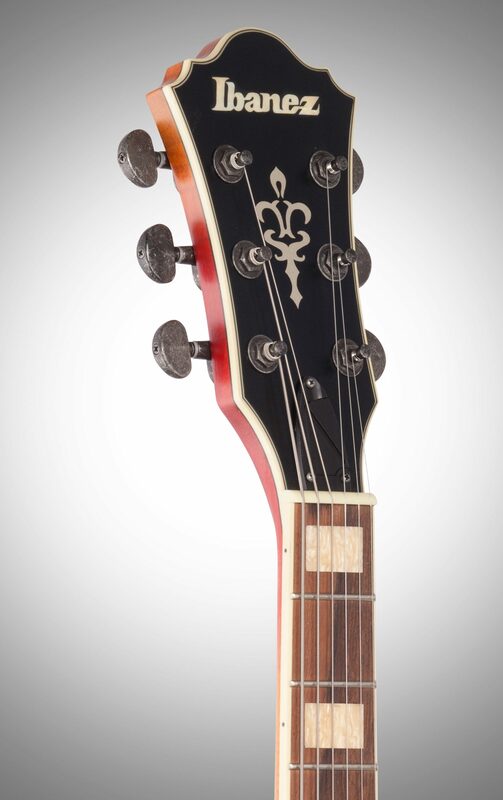 The neck features a bound Laurel fretboard with block inlays and is joined to the body at the 14th fret for comfortable access to higher notes. 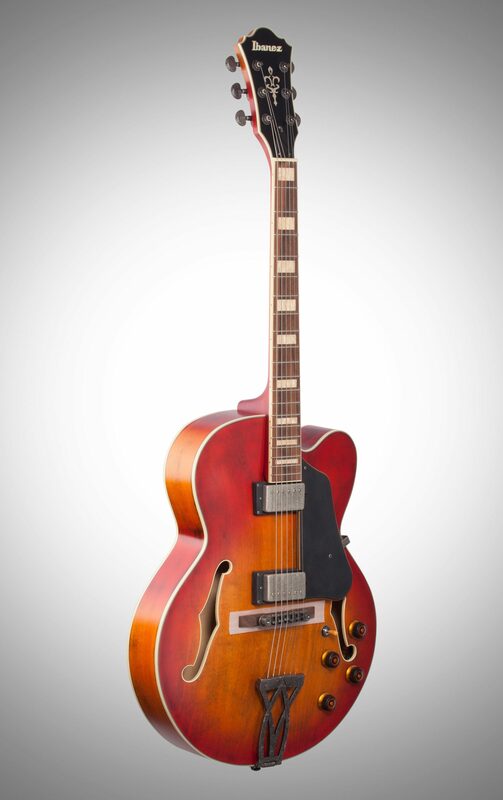 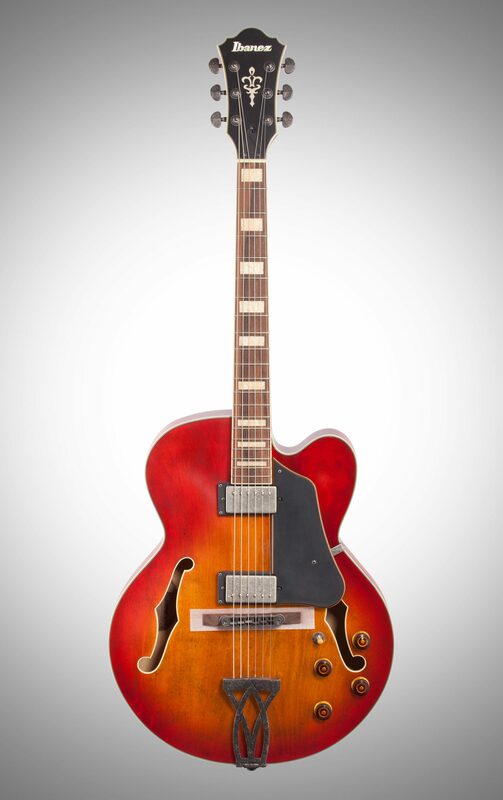 The AFV75 also sports an Art Deco-style tailpiece, which complements the instrument’s nostalgic character. 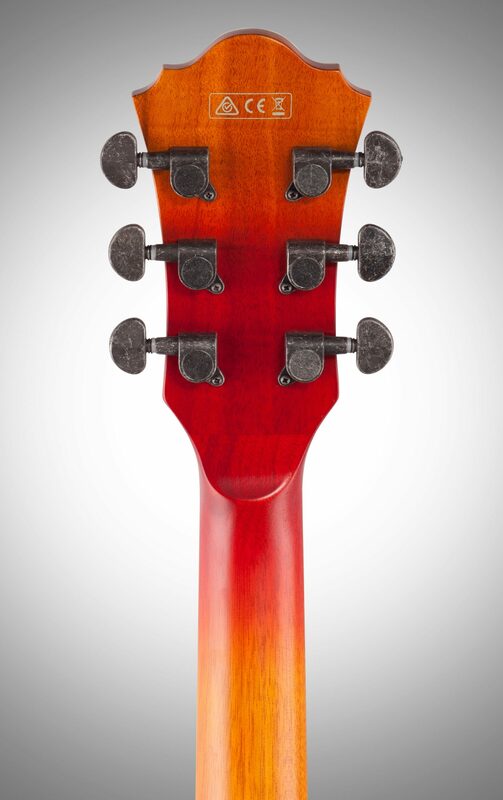 Classic Elite pickups offer warm, ultra-responsive tone with moderate output.